When a diet claims to increase energy levels, melt fat and increase cognitive function, we're all ears. And word on the street is that the recently resurfaced ketogenic, or keto, diet does just that. Because of its recent rise in popularity, there is now a lot of information on keto, sometimes contradicting, circulating the web. In an effort to cut through the noise and find out the right way to keto, we turned to health and science journalist and author of the New York Times best-selling book "Genius Foods," Max Lugavere. Psst, he'll also be speaking at LIVESTRONG.COM's Stronger Weekend event on August 4, so don't miss it. Lugavere defines keto as requiring you to minimize your carbohydrates to 5 to 10 percent of your calorie intake (depending on activity levels) and rounding off your diet with fat (about 60 percent of calorie intake) and protein (about 30 to 35 percent of intake). Essentially, it's a very carbohydrate-restrictive diet. "Ratios are usually 3:1 or 4:1 fats to carbs," says Lugavere. "That you need to load up on butter and bacon to get enough fat," Lugavere says. "The essence of ketosis is when the body runs out of food energy and it turns to stored sugars. The body has a very limited sugar storage capacity. When it runs out, the body turns to fat [for energy]." One of the biggest benefits of the keto diet is that our bodily tissues use fat for fuel during this process, but this doesn't mean that we need to overload the body by ingesting high-fat food. According to Lugavere, you can be in deep ketosis without consuming any fats whatsoever, as ketone production is a natural response to starvation. "Ketone production occurs in the liver during the body's starvation mode, which is then released into the bloodstream where they can shoot up to the brain, ready to be used for energy," he explains. "It is now known that supplying the body with micronutrients is a good idea. So rather than chasing a fat consumption 'high score,' I opt for low-carbohydrate fibrous veggies like butternut squash, which are much more nutrient-dense than bacon and butter (which still allow you to stay in ketosis if particularly active)." "When buying meat, you want to consider its source," Lugavere said. "For beef, you want 100 percent grass-fed/grass-finished. Eggs should be pasture-raised or omega-3 enriched. Chicken should be free-range and antibiotic-free." Should We Be Living in a Constant State of Ketosis? "It depends," Lugavere said. "If you are doing it for medical reasons, follow the advice of your doctor. For most people, intermittent ketosis makes more sense, allowing you to achieve some of the benefits of nutritional ketosis while also allowing for liberal consumption of veggies and low-sugar fruits." Mix together chopped kale, extra virgin olive oil, apple cider vinegar, nutritional yeast and garlic salt. Massage the kale and enjoy! 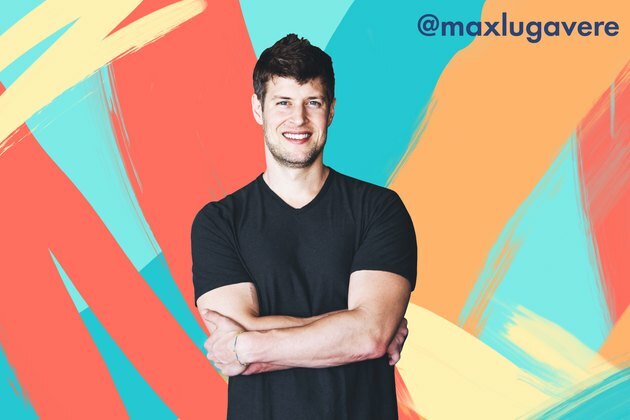 To learn more from Lugavere, follow him on Instagram here, check out his best-selling book "Genius Foods" and listen to his podcast, The Genius Life. LIVESTRONG.COM is turning 10 years old this summer, and we want to celebrate our birthday with you! On Saturday, August 4, at the Rose Bowl in Pasadena, California, the entire LIVESTRONG team and celebrity trainer Jillian Michaels — along with our favorite social media influencers, food experts, celebrities, top fitness trainers and our biggest fans — will be breaking the GUINNESS WORLD RECORDS™ title for most people holding a plank. Are you in? Get tickets now before they sell out! How Many Calories Should I Eat on a Keto Diet? How Does Not Eating Carbs Affect Your Body?